One of Kooler Design Studios most beautiful designs ever created. 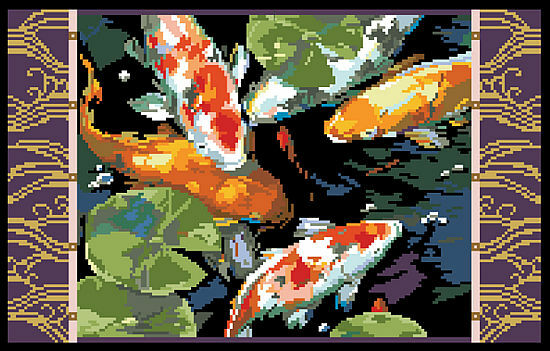 This Asian Koi Fish design is breathtaking and will be an heirloom for years to come. This design will stitch up equally well in needlepoint as well as cross stitch since there is no backstitching. The design calls for DMC Gold Light Effects for added luster and shine.